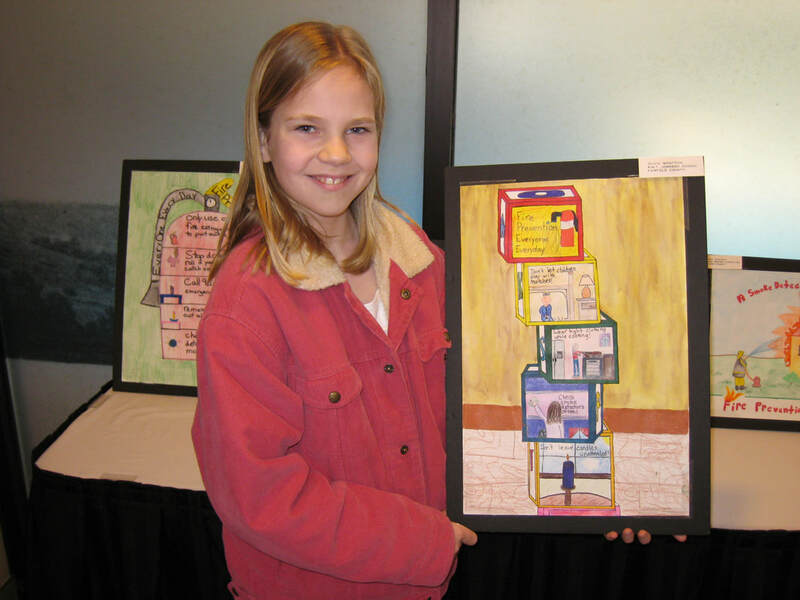 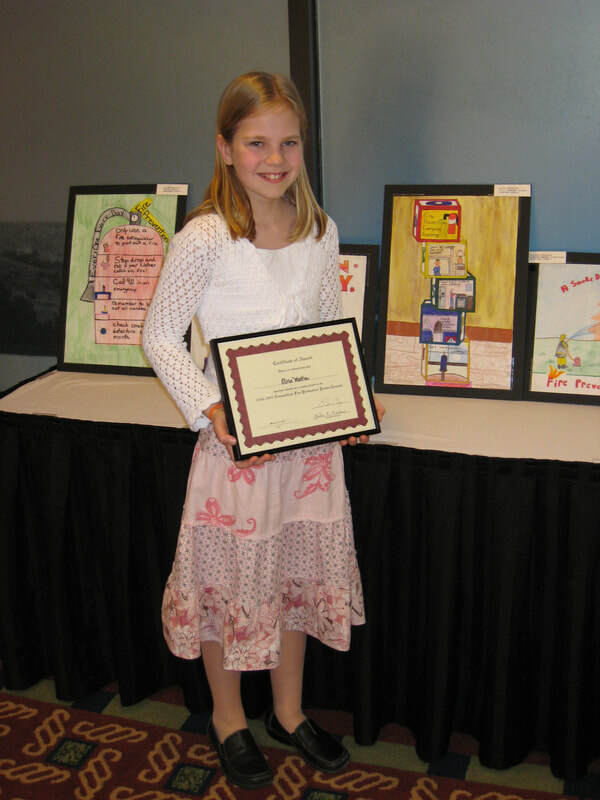 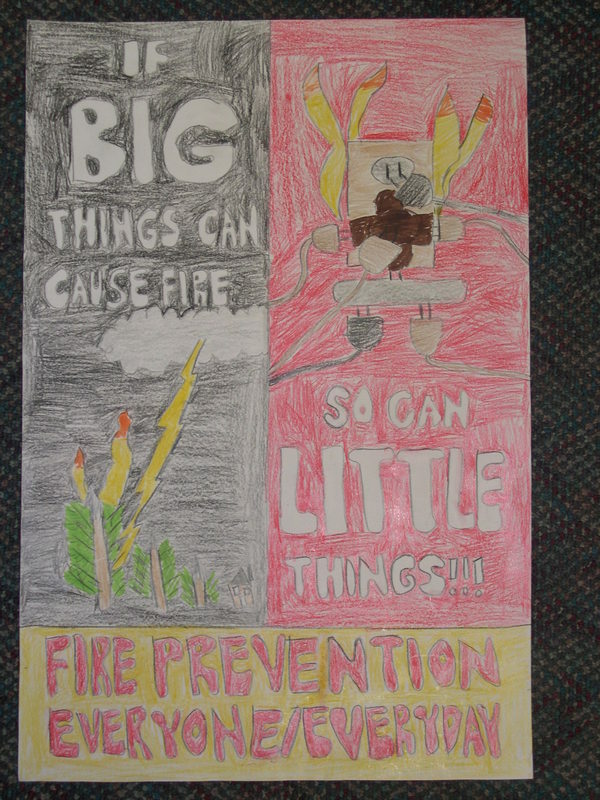 Each year 4th and 5th Graders entered a statewide poster contest. 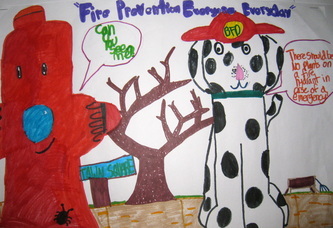 Their goal was to come up with a creative way of promoting fire prevention and safety. 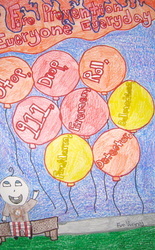 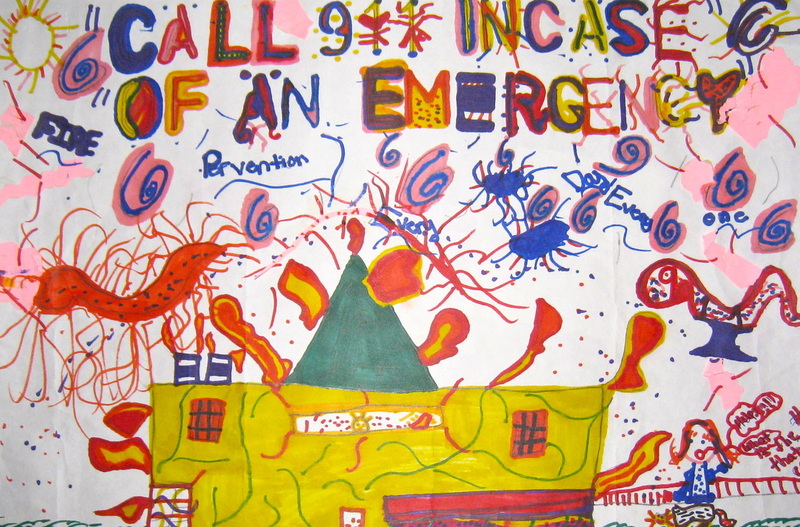 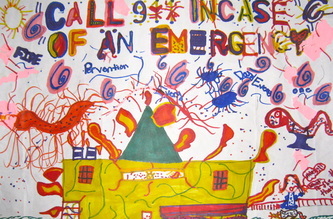 The children all had a common objective; to develop a colorful, eye catching poster that sent a message to other people. 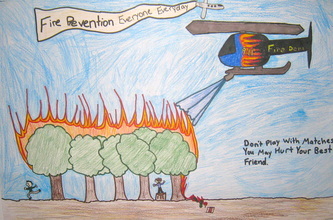 The students were all aware of how this important message, combined with the power of an imaginative design, could indeed save many lives. 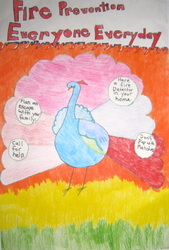 The students studied the ways advertisements used art with appealing logos and designs. 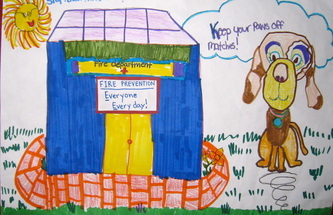 As a result, many children came up with their own snappy logos and mascots. They also learned about the different uses of a wide variety of art materials. 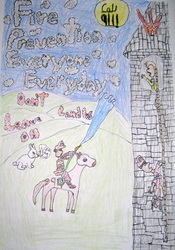 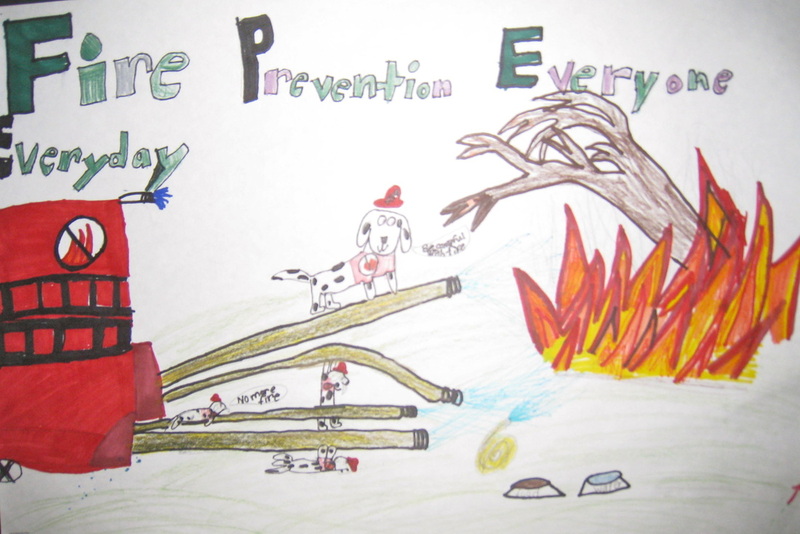 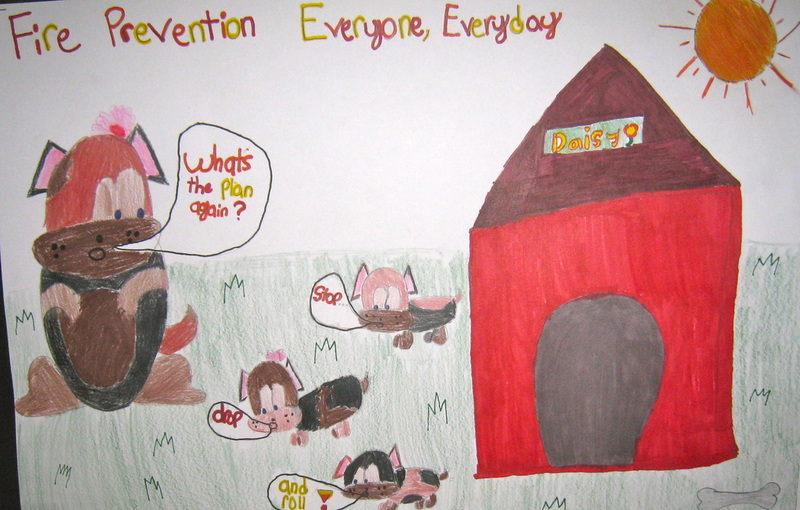 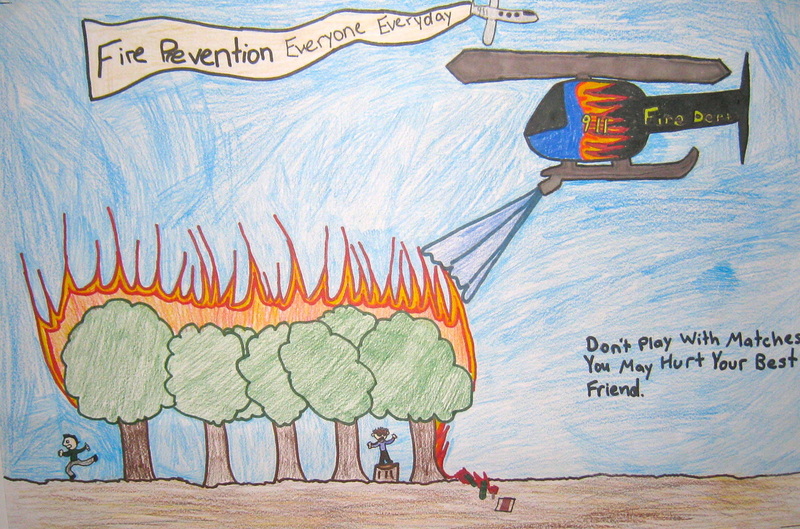 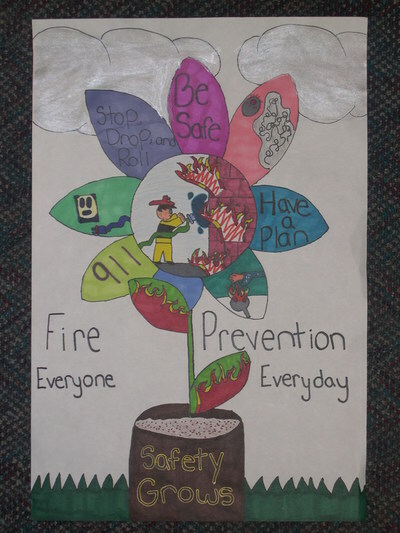 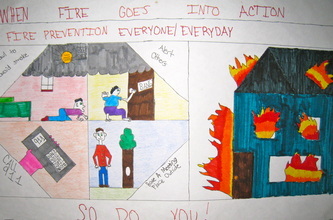 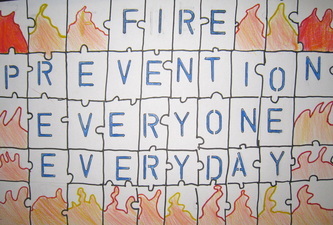 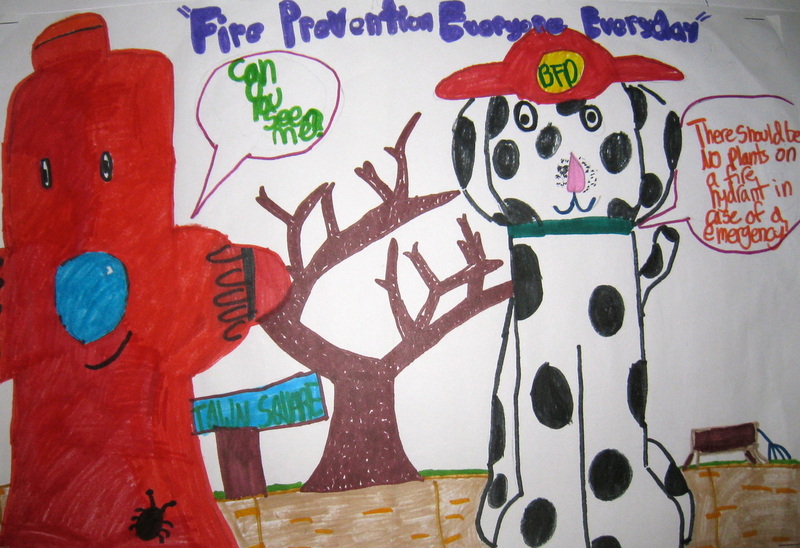 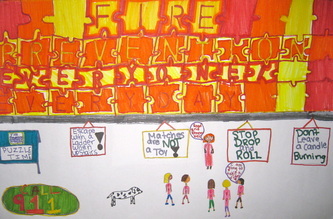 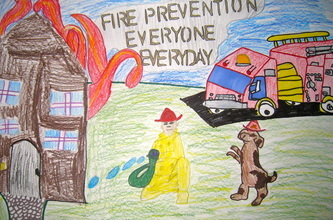 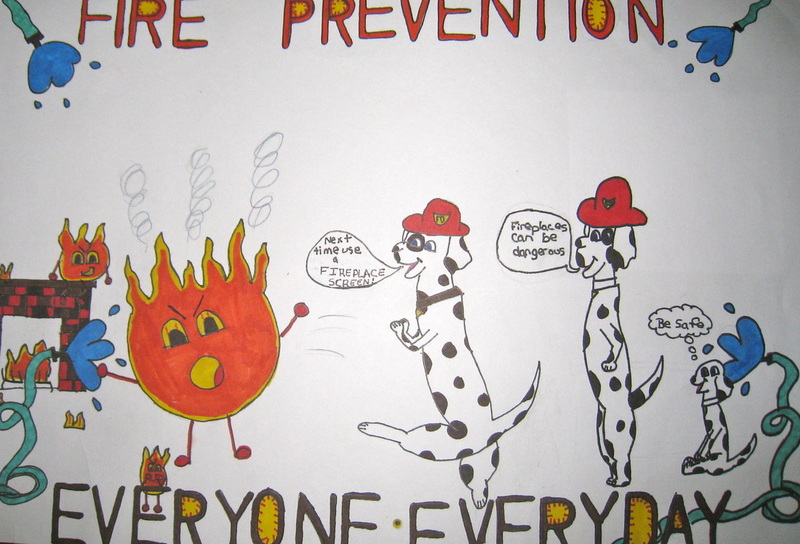 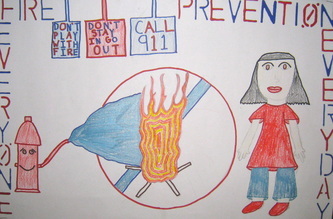 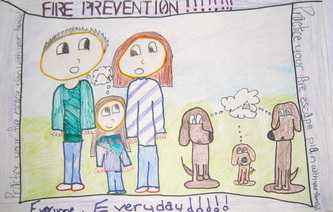 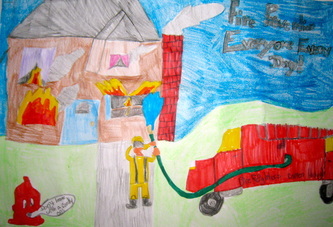 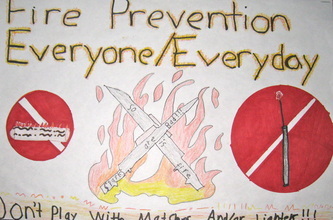 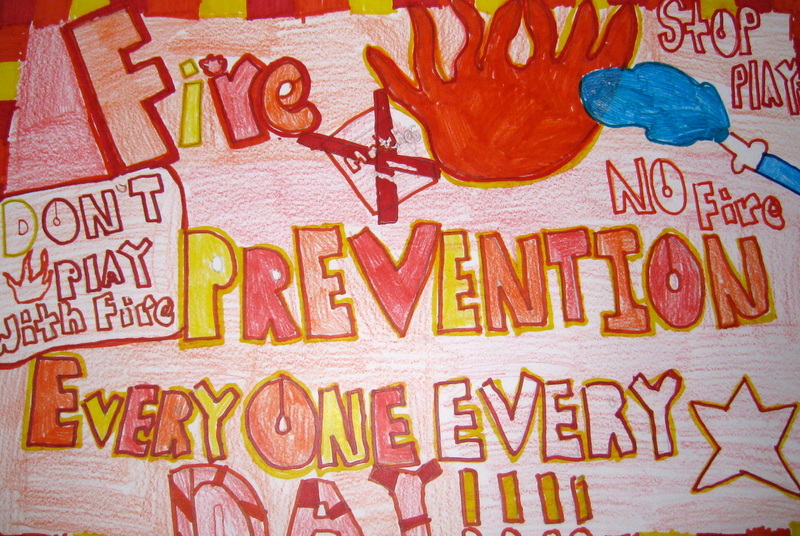 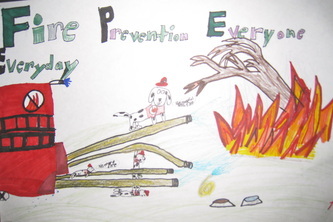 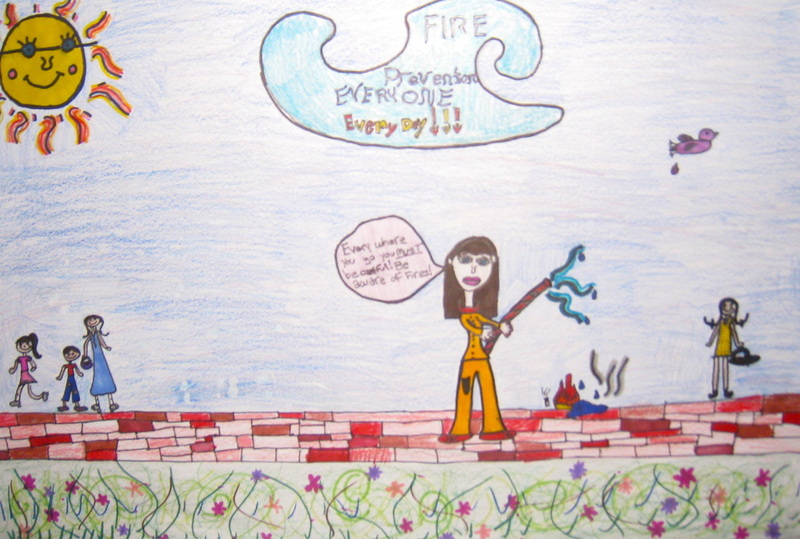 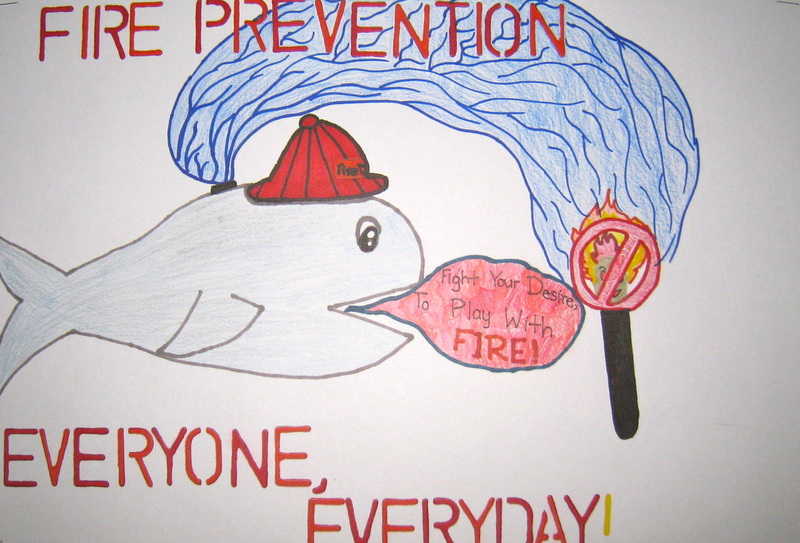 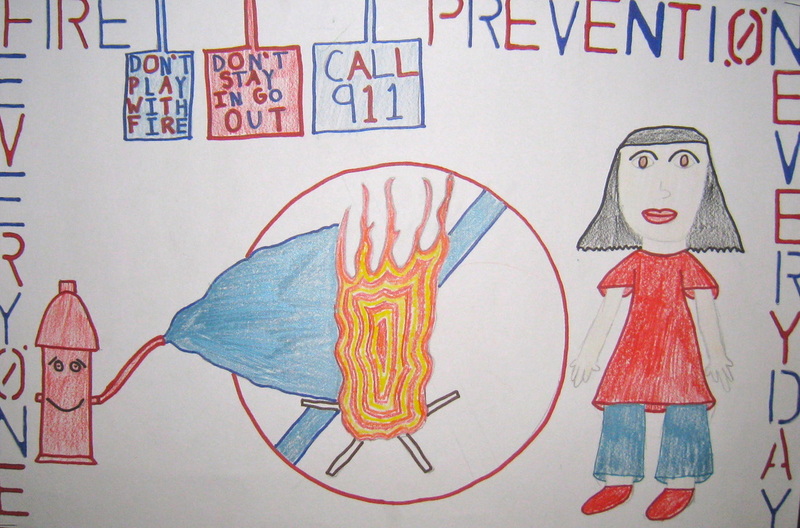 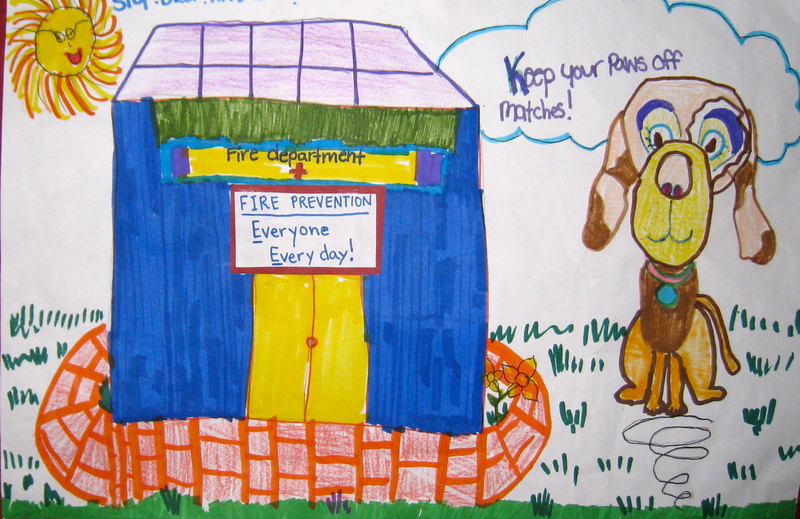 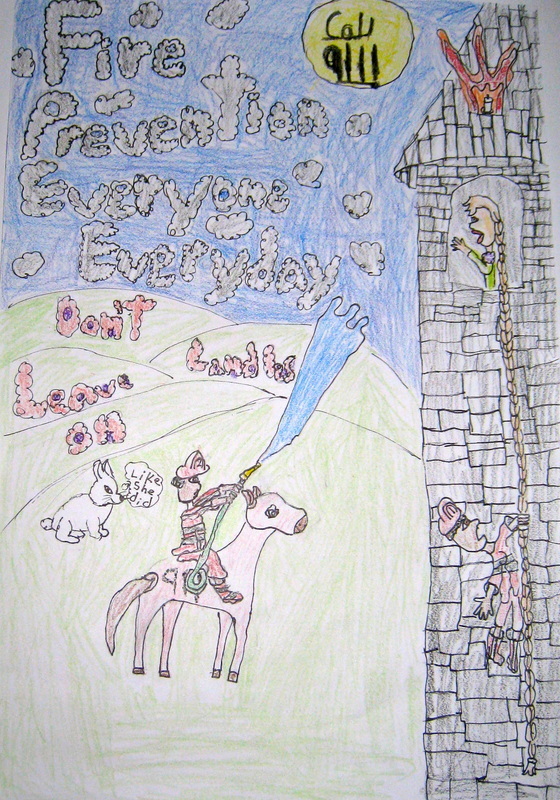 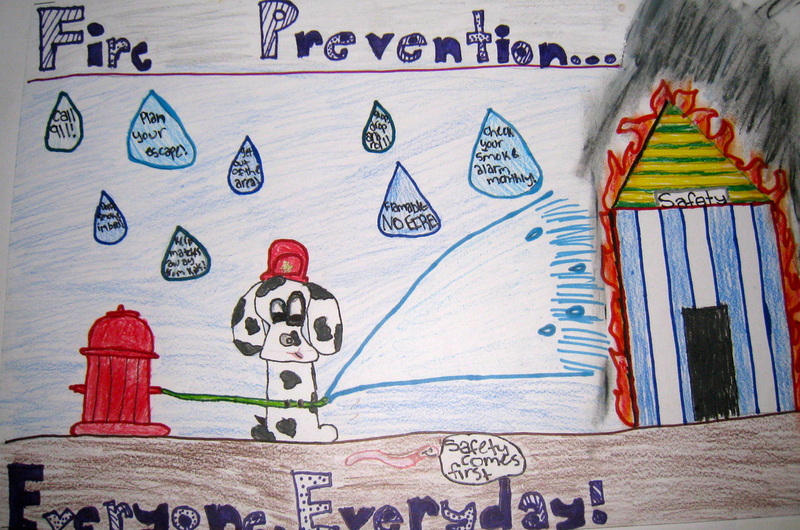 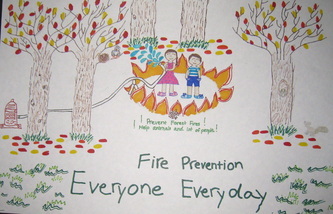 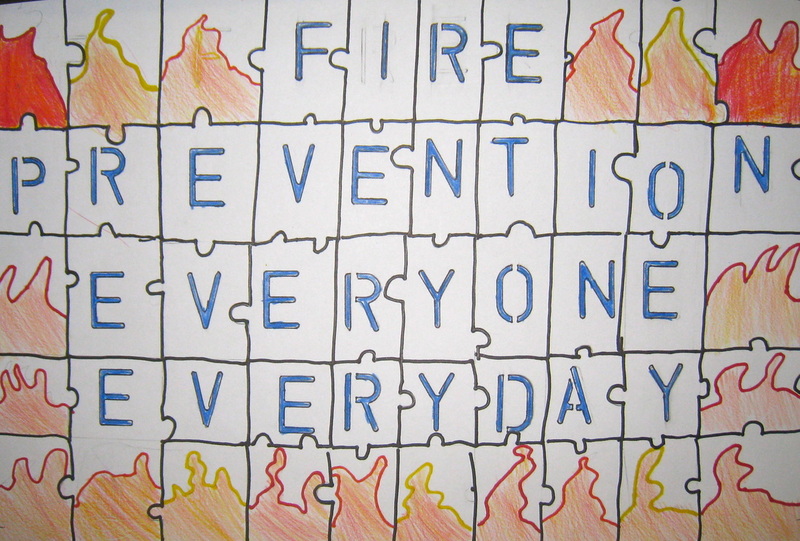 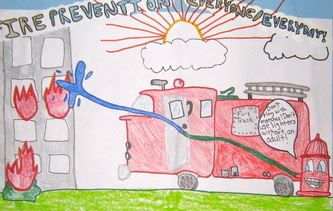 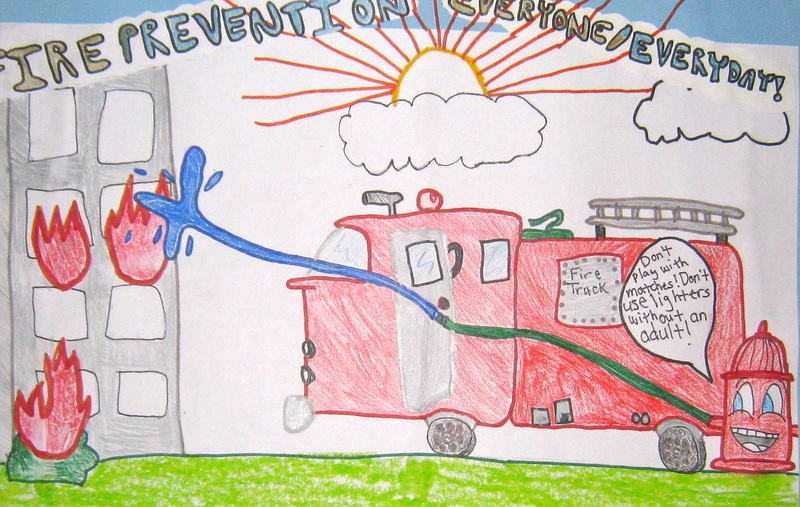 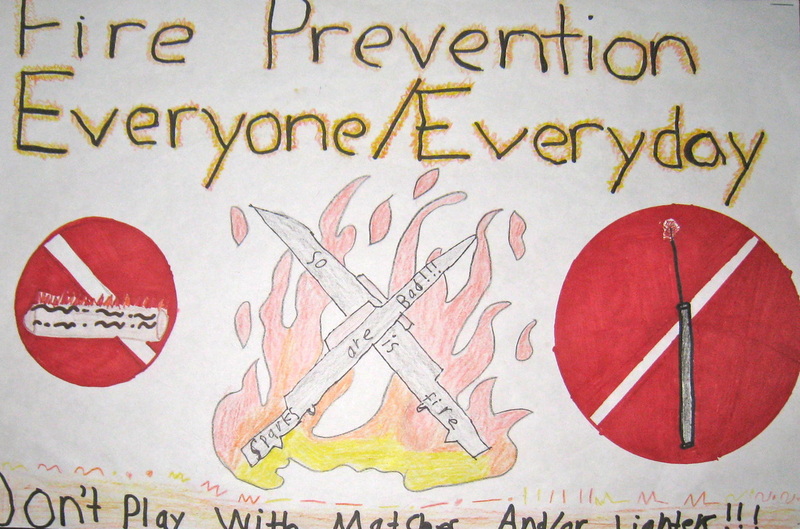 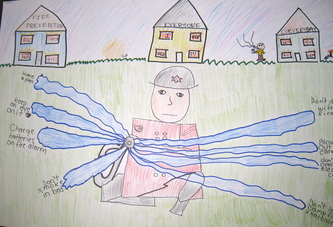 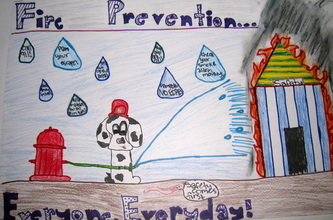 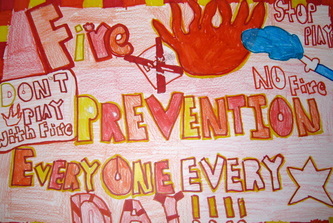 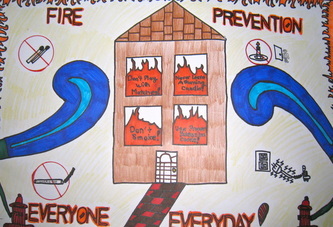 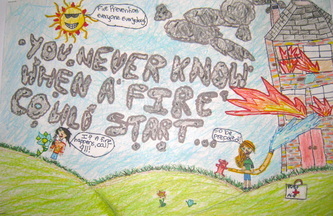 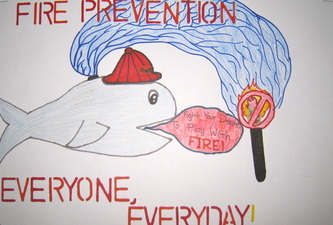 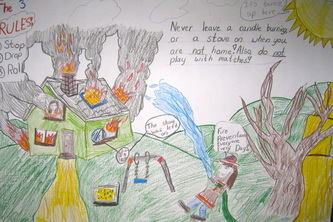 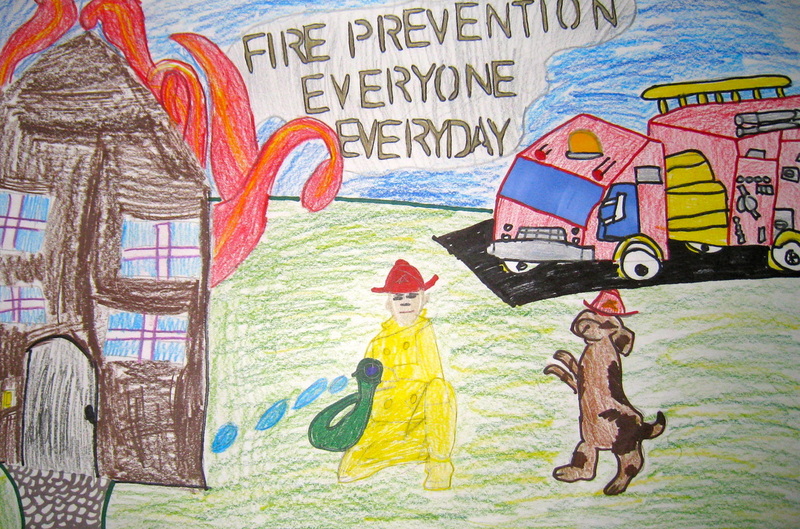 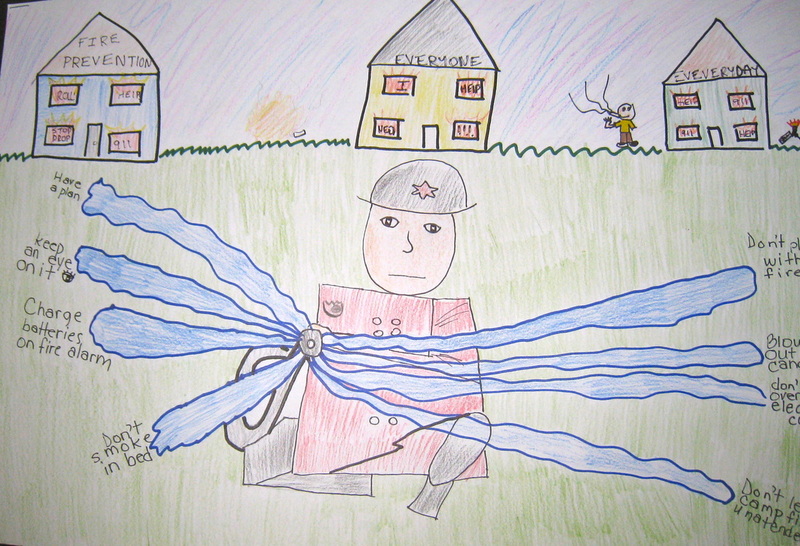 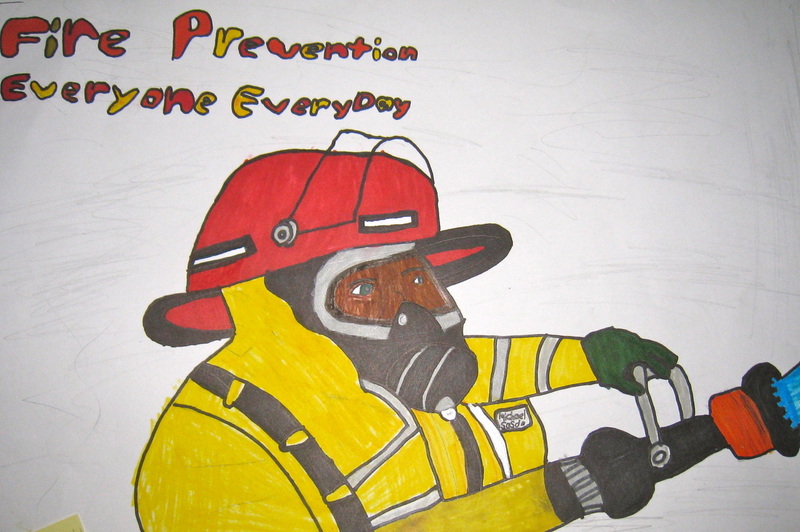 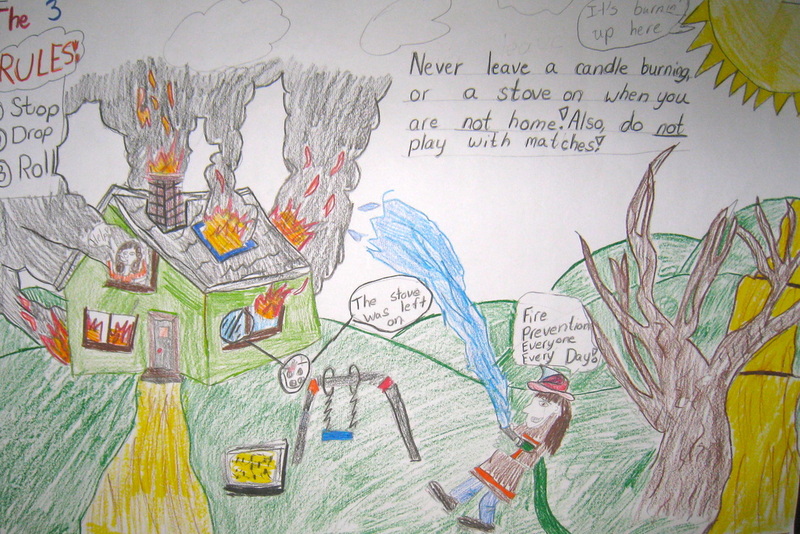 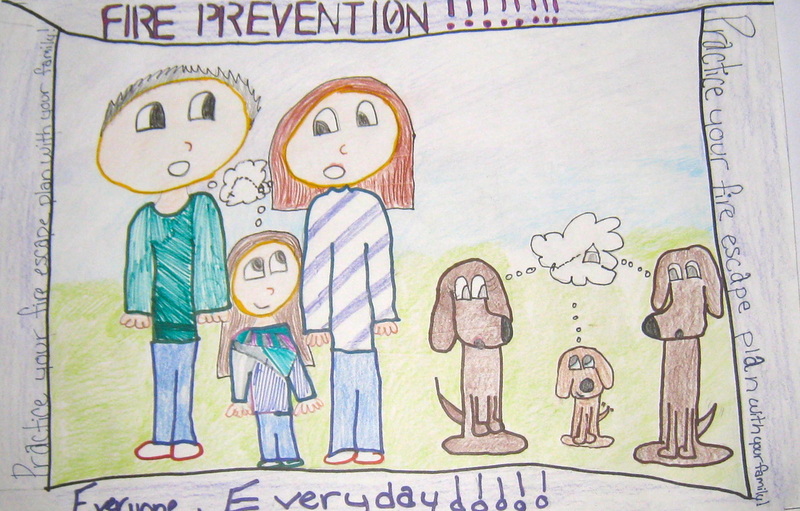 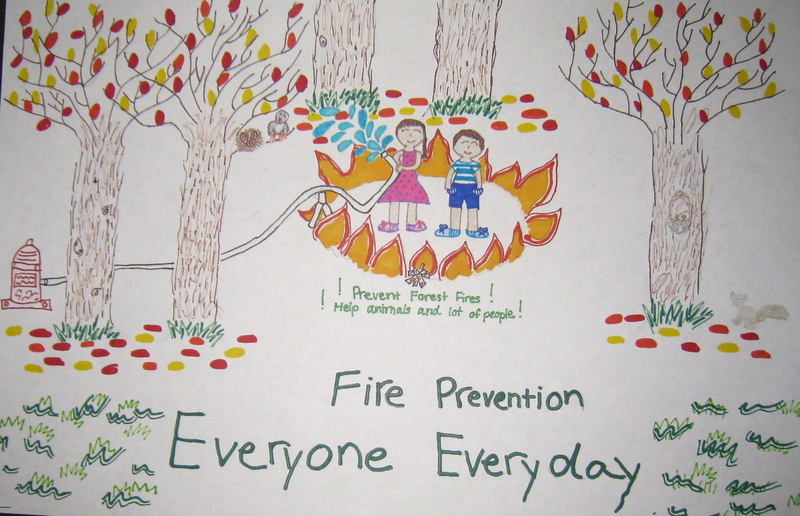 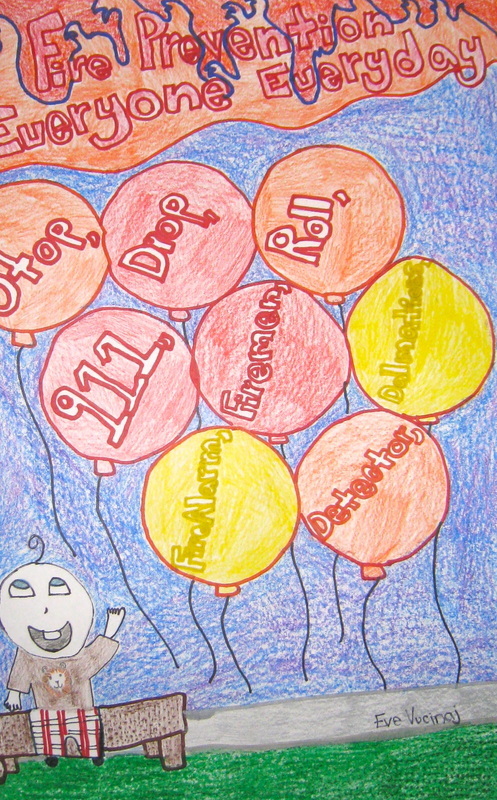 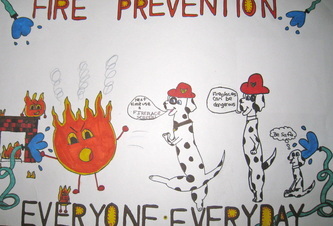 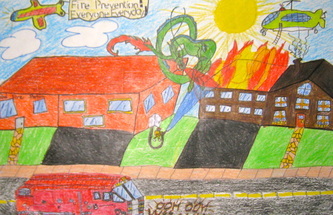 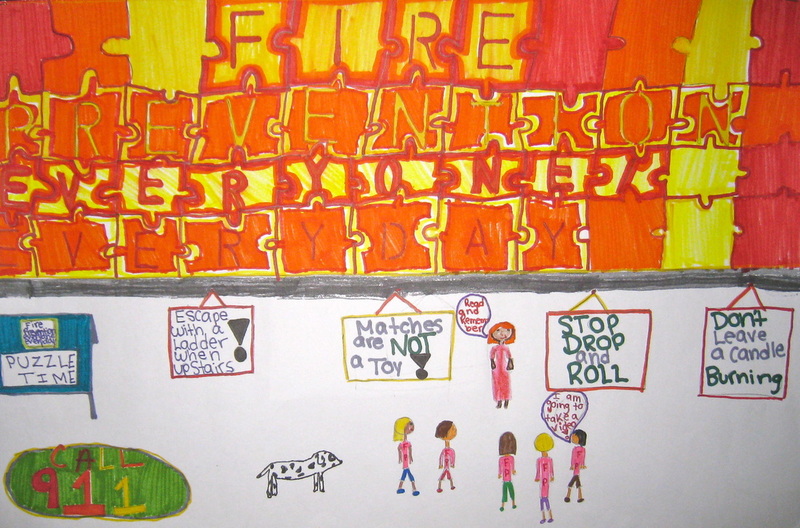 Every year, Johnson School students are encouraged to participate in the annual statewide Fire Prevention Poster Contest. 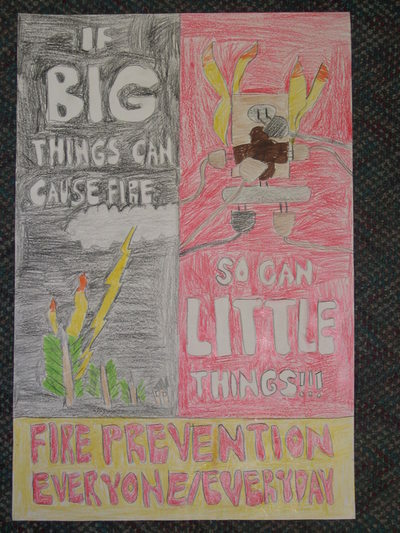 The purpose of this competition is to encourage students to learn about and share this knowledge with their community, family, and friends about the importance of fire safety and prevention. 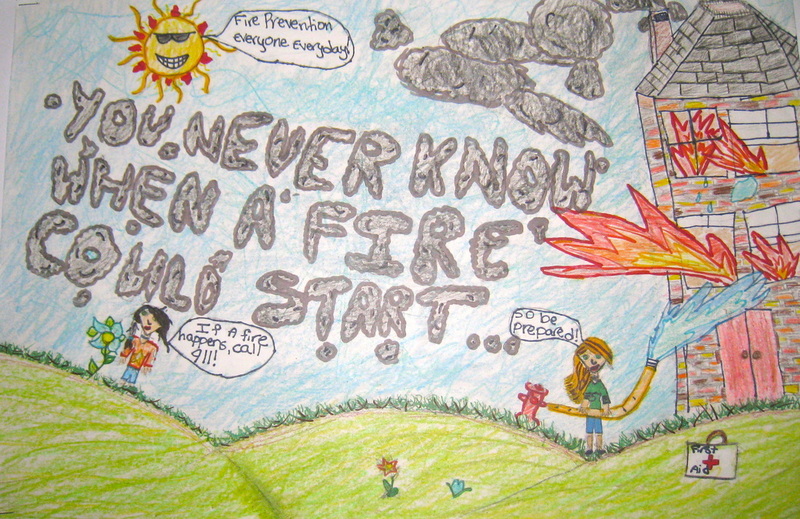 This year's town representatives are fourth grade student Amelia G. and fifth grader Ruby A. Congratulations to you both and best of luck in the county wide level of the competition!